A classic example of a movie finding its audience despite a weak theatrical run, 1983’s Eddie and the Cruisers gained a cult following for its original soundtrack and the convincing lip-syncing talents of star Michael Paré. Read on to find out why the story of a fictional '60s musician struck a chord with viewers, how Rick Springfield nearly starred, and whether we’ll ever see Eddie Wilson one more time. 1. IT WAS BASED ON A MURDER MYSTERY. Eddie and the Cruisers was not originally conceived as a nostalgia trip for Jersey rock. Author P. F. Kluge wrote the 1980 novel it was based on as more of a thriller, with Eddie’s former bandmates reflecting on their heyday with the presumed-dead Wilson as a killer tries to find some “missing” recordings the singer made before his apparent death. While the movie stuck to the same basic structure, the killer angle was dropped. 2. RICK SPRINGFIELD WANTED TO PLAY EDDIE. Itching to grow out of his scrubs on General Hospital, soap opera actor-slash-singer Rick Springfield lobbied for the title role in Eddie and the Cruisers. Unfortunately, director Martin Davidson—who bought the novel rights—didn’t think he could be convincing as anyone other than Rick Springfield. While he “might have been great” in the part, Davidson said, “he wouldn’t have spanned the history” of the missing musician. 3. THE BAND GOT ADVICE FROM THE BOSS. When producers went looking for a group to supply original music that would be lip-synched by the cast, they found John Cafferty & The Beaver Brown Band (named after a paint color) toiling in and around New Jersey. Their Bruce Springsteen-esque sound actually had some endorsement from Springsteen himself: Cafferty told People that the Boss was around for their early gigs and helped guide him through some songwriting challenges. “It was like getting batting tips from Mickey Mantle,” Cafferty said. 4. ELLEN BARKIN HATED MAKING IT. Ellen Barkin, who played the latter-day investigative reporter looking into Eddie Wilson’s death, was not enthused about making the film. “That’s what we liked to call a 'pay the rent' job,” she told The A.V. Club in 2010. “It wasn’t a script I liked.” Barkin said her agent more or less talked her into it on the premise she’d only have to work on it for a couple of weeks. 5. 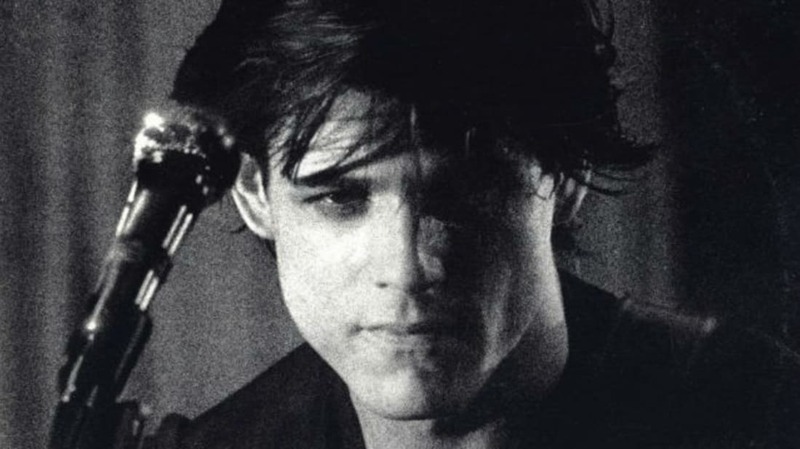 THE DIRECTOR WAS PRETTY MEAN TO MICHAEL PARÉ. Paré’s most notable acting gig up to that point was as a supporting cast member of NBC’s The Greatest American Hero. Davidson didn't have much confidence the young actor could pull off some of the more emotionally demanding scenes required: He essentially put him on acting probation. “If you f*ck up tomorrow, you’re fired,” he allegedly told Paré. The animosity was strong enough that Paré’s co-stars held a meeting and told Davidson that if he fired the actor, they’d walk off the shoot. 6. SYLVESTER STALLONE MADE AN IMPORTANT INTRODUCTION. When Davidson had Cafferty’s master recording set, he needed a record label to distribute it. Having directed Sylvester Stallone in 1974’s The Lords of Flatbush, he approached the actor to put him in touch with Scotti Bros. Records, the label that had helped facilitate a meeting between Stallone and the group Survivor that eventually paved the way for “Eye of the Tiger.” Scotti Bros. agreed to distribute the soundtrack, giving Cafferty’s band its first real break after toiling in local clubs for over a decade. 7. HBO AND MTV GAVE THE MOVIE A SECOND WIND. 8. THE PALACE OF DEPRESSION REALLY EXISTED. Eddie’s existential crisis—to stay true to his music or placate record industry executives—comes during a scene shot at the “Palace of Depression,” a massive junkyard with parts and assorted junk artistically arranged. It wasn’t just set dressing: the Palace opened in 1932 in Vineland, New Jersey, after a man named George Daynor lost his savings in the stock market crash. Arriving in the state, he took to using trash to build out on a small patch of land. A restoration society is hoping to re-open the site in 2017. 9. THE SEQUEL WENT THROUGH 14 DRAFTS. After the success of the album, Scotti Brothers purchased the sequel rights in 1985. That film wouldn’t see the light of day until 1989: It took 14 drafts for producers to be satisfied with a script for a follow-up that sees Eddie (Paré) living in anonymity in Canada as blue-collar worker “Joe West” before he gets the urge to start recording music again. Unfortunately, not everyone was interested in hearing it: Eddie and the Cruisers II: Eddie Lives! was an even bigger box office disappointment than the original, grossing just $536,508 in its opening weekend in roughly 400 theaters. 10. THE SEQUEL WAS SHOT AT A BON JOVI CONCERT. To capture the atmosphere of a live arena crowd for Eddie’s climatic return to performing, the crew of Eddie II set up cameras at a Bon Jovi concert in April 1989 at the Thomas & Mack Center in Las Vegas. According to one concertgoer, the “fake” band lead by Paré was more well-received than the real warm-up band—Skid Row. 11. PARÉ RECORDED AN ALBUM OF HIS OWN. Speaking to the Los Angeles Times in 1989, Paré revealed he had recently finished an album featuring his own vocals and planned on touring overseas to avoid any Michael/Eddie overlap. While there’s no evidence the album was ever released, you can still hear Paré sing (a little) on a track from the film Road to Hell. 12. PARÉ HAS WRITTEN A SECOND SEQUEL. In 2015, Paré told The Washington Post that he’s been pecking away at a script for a third movie with a friend. “I’ve got up to page 78,” he said. Director Brad Furman (The Lincoln Lawyer), who is a fan of the original, said he would consider directing. In a time where Netflix and other venues are catering to some highly specific tastes, there might be more to Eddie Wilson’s story yet.